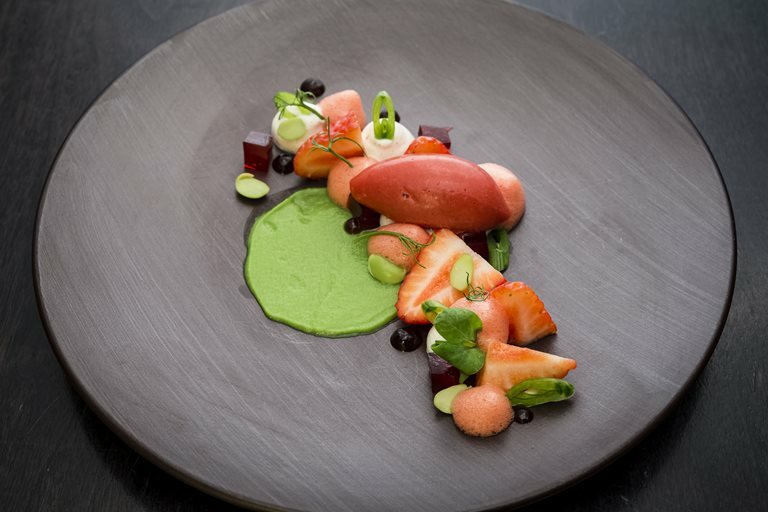 This beautiful and vibrant dessert from pastry chef Graham Hornigold incorporates two of the best British summer ingredients; strawberries and fresh peas. The refreshing taste of pea and mint is the perfect foil for the strawberries, which are made into a sorbet, jelly and foam. A creamy mousse and piquant vinegar gel elevate this dish to new culinary heights.